When it comes to website content, search engine optimization (SEO) often leads the discussion. What keywords to use, how often to use them, and on and on. Less discussed is the importance of creating unique, quality content that both Google and readers approve of. Google uses “spiders” to crawl websites across the entire Internet. They are automated computer programs that determine how websites should be ranked in the search engine. In the past, these spiders were easy to manipulate. Over the years, though, they’ve become much more sophisticated. It used to be easy to dupe search engines into granting high rankings. You could stuff dozens of the same keyword into a generic article. You could develop a massive website by publishing hundreds of blog posts that contain very little content. You could even copy and paste content from someone else’s website onto yours. At the time, these were effective strategies to improve a website’s search visibility. Identify how many words are on a page. If a website has hundreds of pages that contain only 100 words on each page, that website is likely to rank poorly. Audit for duplicate content. Google can scan the Internet to determine whether someone is stealing content from other websites. Analyze keywords on a page. Google can identify keywords that have been arbitrarily stuffed into a page. Such keyword abuse could even prompt a site-wide penalty. Analyze user engagement. By looking at a website’s analytics, Google can determine how many pages a user visits, how long they spend on each page, and other engagement metrics. 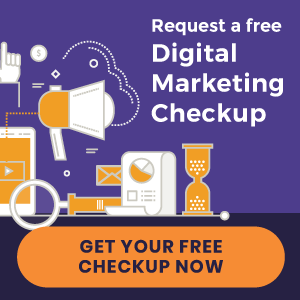 This helps Google determine the quality of content, as users will be quick to click the back button when stumbling across poorly-written content. It’s pretty simple. If Google doesn’t approve of your content, you’re not going to fare well in search results. In fact, consistently poor content could attract a penalty that tanks your rankings altogether. Google approves. Search engines are in the business of satisfying users every time a search is performed. To maintain loyal users, they want to provide the best results possible. Otherwise, web users might turn to a different search engine. You provide value to prospective patients who are looking for information on chiropractic care. This is a way to establish yourself as an authority, while encouraging website visitors to learn more about your practice. If you want your chiropractic website to rank well, you must first get Google’s “approval.” But that’s only the first step. In order to get new patients online, you’ll have to convert visitors once they land on your site. By educating prospective patients on their health and wellness, you provide value. By outlining your services, you illustrate exactly what you do. By telling the story behind your practice, you establish trust. Doing so in an enlightening manner will encourage visitors to stay on your website – and, ultimately, set up an appointment. Developing top-notch content takes creativity and time. If you’re looking to publish content that is Google-friendly, download our free “Blogging for Beginners” eBook. You’ll learn what to write about, when to post new content, and how blogging helps your search engine rankings.